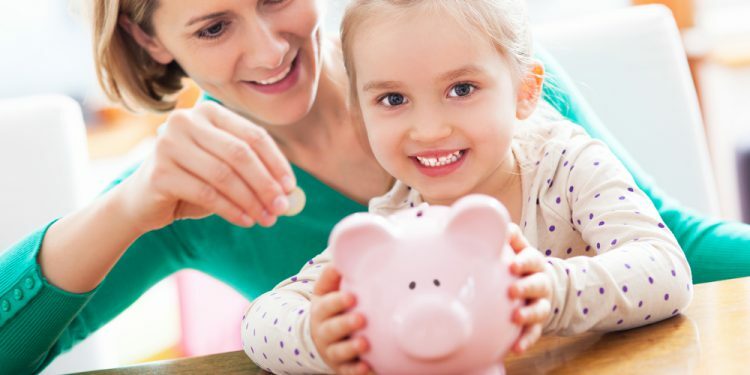 There are lots of choices out there when you are looking for savings accounts. It can be wise to choose carefully and make sure that you get one that suits your needs. An instant access savings account will allow you to pay in and withdraw money whenever you need to. This is a really flexible account so great if you are saving up for something that you are buying in the short term or if you want some money to fall back on if you run out at the end of the month or need to buy something in an emergency. It can be handy to have this account with the same company as your current account so that it is really easy to transfer money back and forth between them. These do tend to pay very low interest, although some will pay higher interest if you hold a current account with them. However, the interest still tends to be more than you will get in a current account and it can be much more convenient to keep the money in a separate account and it will stop you accidently spending it. A notice account requires that you give a certain amount of notice before you can make a withdrawal. This will vary depending on the account and generally the more notice you have to give, the higher the interest but this will not always be the case, so it is worth checking. The notice will be likely to be around a month, but some may be more or less, depending on the provider. These accounts are good if you are just accumulating savings for the future or you have a specific date when you need money for. As you have to give notice, you will find that the interest rates are higher. This means that they can be a more rewarding way to save, compared with instant access accounts. A regular savings account requires a regular monthly amount to be paid in. The amount you have to pay in will vary between accounts and there can often be an upper and lower limit so you can choose an amount within that threshold. At the moment there are some with very competitive interest rates but you can only open the accounts if you have a current account, or similar, with that specific provider. You can get them independently of a current account but they tend to offer lower interest rates. They can still be higher than an instant access account though and so it can be worth taking a look at what is available and comparing the different rates if you think that you will have some money to save regularly each month. A foxed rate savings account will offer you a specific rate for a period of time. This could be for a year, for example. These can be higher rates than other types of savings account, but it can vary. If interest rates are likely to rise on other savings accounts during the fixed term, then you may find that the fixed rate is not so competitive. However, it can be very difficult to predict. You may also get a bonus if you make no withdrawals from the fixed rate account and this could really add value. This type of account would be good if you had money to save that you did not need to spend for a long time. If you make withdrawals there will often be a penalty and so you will want to avoid this if you can. Often people will save with an ISA because there is no tax charged on the interest. The tax on interest can make a significant difference to the return and so this can make a big difference. However, recently the rules on tax and interest on savings has changes. It is possible to get up to £1,000 a year of interest without paying any tax on it anyway, whether you use an ISA or any other types of savings account, if you are a low rate tax payer. This means that you will see no advantages to saving in a tax free account and as the rates on a cash ISA are often low, it could be better to avoid them. However, if you are a higher level tax payer the rules are a bit different and if you are already getting over £1,000 in interest, then you could still find using an ISA an advantage. It is worth checking the rules and your own situation to help you decide.